Scroll down to learn how we've helped organizations like your organization. Meridian replaced our legacy equipment, server, and entire IT operation within a few weeks after the system from our former IT provider crashed and we were due to move into a new building. Meridian recovered extremely valuable data of ours that had never been backed up properly. We were very impressed with their ability to mobilize and implement a new system with almost no notice." If you’re looking for a technology partner that understands the document and network challenges facing today’s non-profits, you’ve come to the right place. Meridian has more than 30 years of experience working with the DC metro area’s non-profit and association marketplace. With a team of specialists with areas of expertise covering each type of mission- and member-focused organizations, our brand-neutral solutions are flexible enough to accommodate the challenges of small organizations, yet robust enough to integrate quickly with larger international association environments. Trust Meridian for all of your non-profit's technology needs, from soup to nuts — or, in this case, from copiers and servers, to strategy and budgeting, and everything in between. We'll manage your technology, so you can focus on what matters most. We start with all-inclusive service agreements and strategic planning to eliminate large unexpected technology expenditures. Then, we find ways to help your organization do even more with less, leveraging non-profit discounts and cooperative purchasing programs. Our team is fluent in systems commonly relied on by associations, non-profits and faith-based orgs of all types and sizes. Combined with our first-hand experience applying concepts and trends that work best for your peers, we're sure to set you up for success. At the end of the day, innovative product offerings and great service promises only matter if you've got the right people standing behind them. We're proud to say Meridian's team of certified experts is just that...and more! 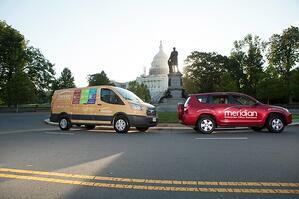 Click to learn about the Meridian family. 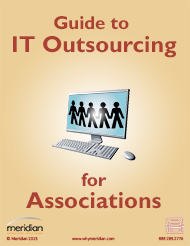 This guide to Outsourcing IT Services for associations will help you understand what your organization needs and the best path toward creating a secure, innovative AND cost-effective IT strategy — yes, you can have it all! Meridian is a local Washington, DC office equipment, document solutions & IT services provider, headquartered in Alexandria, VA. We've been a part of the Greater DC community since 1985, and actively engage in local community service initiatives through non-profit partnerships and our community outreach committee, comprised of employee volunteers. We've got robust teams of over 50 expertly-trained and certified field service support staff geographically distributed throughout DC, Maryland and Northern Virginia...on any given day, you may see them driving all around the beltway (and outside the beltway, too!) in our signature fleet of orange trucks, vans and cars. We offer customized support levels that scale up or down to suit your needs and budget, including secure web-enabled chat agents. That means we're always here for you, regardless of whether you want local IT support in DC during business hours, or need technology assistance in the middle of the night while you travel abroad. As a wholly-owned subsidiary of Konica Minolta, we have access to an international network of world-class support providers. You can relax knowing you have a local partner with global presence to centralize and manage all your association's technology needs, wherever your mission and members may take you. You'll our flexible, fair and predictable billing terms. For all the tech to your non-profit needs, from print to IT and everything in between, we help maximize ROI and budget for necessary investments over time, so you (and your board) can rest easy. All the benefits of a C-level technology leader and more, without the overhead. Access our entire VCIO team's knowledge and experience to build and maintain your organization's strategic technology road map. We'll proactively monitor, manage and maintain your entire IT infrastructure — 24 hours a day, 7 days per week, all year long. 90% of organizations have no idea how much they spend on document output. Our strategic approach helps you achieve the highest productivity and the lowest total cost of ownership. We partner with the most reputable manufacturers to ensure you've got the right multifunction copiers, desktop printers, plotters, and production print hardware to meet all your needs. Simplify, secure and automate the processes behind storing, accessing and sharing critical data throughout your non-profit. Benefits include improved efficiency, decreased operational costs and reduced human errors. 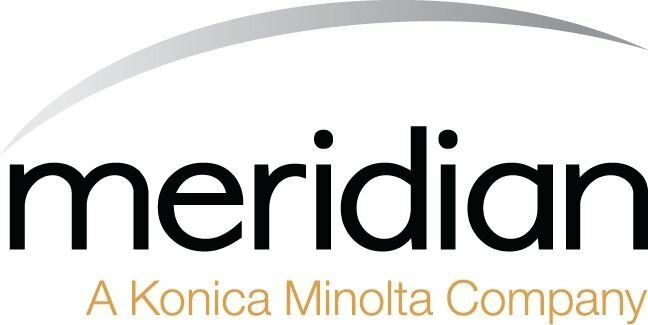 "During the IT assessment process, Meridian inspected every inch of the network with a fine tooth comb and offered great suggestions. After the assessment, Meridian used the suggestions in our VCIO meetings to develop a plan to get us to where we need to be. The implementation process was smooth and painless. Meridian quieted down the network and gave the idea of moving to a ‘host’ virtual environment to reduce the amount of equipment for us to worry about. Meridian also assisted with enhancing our security and connectivity. We recently moved to Meridian’s managed print services, as well. As a result we reduced color printing by 25% and cut our overall print and copy budget by 20%. I recommend partnering with this company because Meridian is honest, has the skill set that you need to keep your operations running smoothly and brings a layer of sustainability."